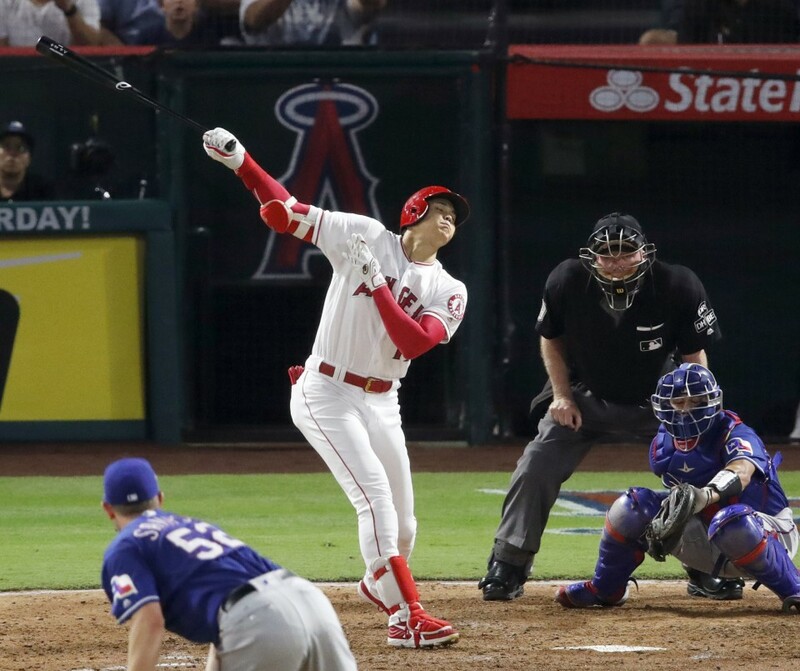 Shohei Ohtani went 0-for-3 as the cleanup hitter Tuesday and snapped his hitting streak at eight games as the Los Angeles Angels beat the Texas Rangers 1-0. 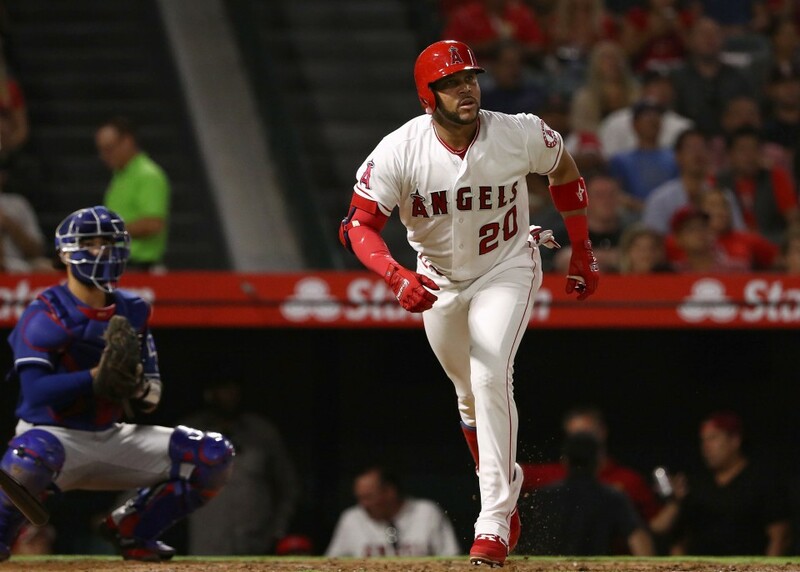 After Trout, batting third in the lineup, was hit by a pitch in the fourth, Ohtani fouled five times and took Sampson to a full count but eventually struck out. Trout advanced to second on a wild pitch, but Sampson retired the next two batters to end the threat. A day earlier Ohtani was named the American League Player of the Week for the second time. The 24-year-old rookie batted .474 with four home runs, 10 RBIs, eight runs scored and two stolen bases in five games last week. 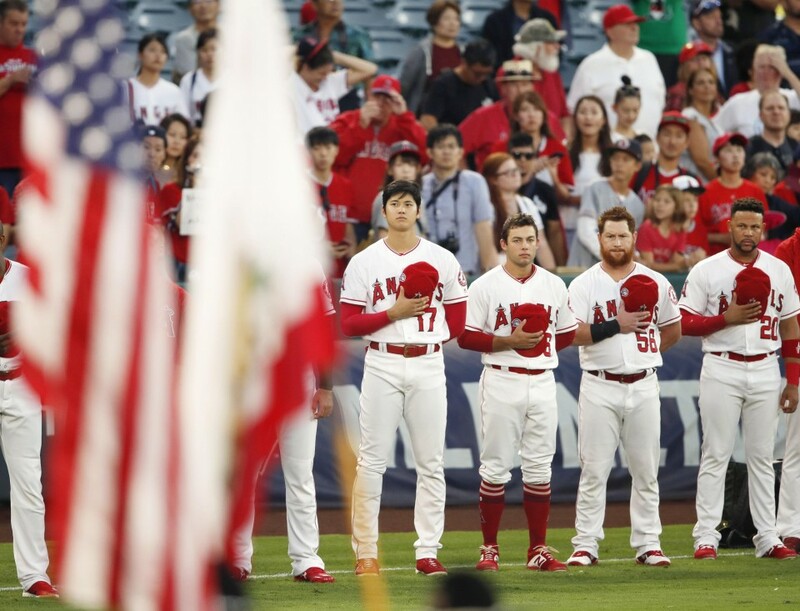 In a bullpen game for the Angels, Noe Ramirez (5-5) fanned three in 1-2/3 innings for the win while six pitchers took a no-hitter into the eighth. Both teams allowed just two hits each. Jose Fernandez provided the game's only run with a second-inning solo shot off Sampson (0-1). At Coors Field, Yoshihisa Hirano earned his first major league save for putting out a fire in the ninth inning of the Arizona Diamondbacks' 6-3 win against the Colorado Rockies. "I closed out games all the time in Japan. I was preparing to do that anytime here," said Hirano, who had 156 saves over 549 games with Nippon Professional Baseball's Orix Buffaloes between 2006 and 2017. The Diamondbacks ended a three-game skid and evened the four-game series at one apiece, moving within 2-1/2 games of the National League West-leading Rockies. In his rookie major league season, Hirano is 4-2 with 55 strikeouts in 70 appearances. He signed a two-year, $6 million contract with the Diamondbacks last December. At Safeco Field, San Diego Padres reliever Kazuhisa Makita was called up from the minors before their game against the Seattle Mariners. He did not take the mound in the Padres' 2-1 win.